You are here: Home / Freelancing / How To Get Regular Income From Freelancing Web Development? How to get a constant source of clients on a continuous basis and keep on getting new clients all the time for your web development skills. I have been doing freelancing and consultation since I left my job in 2008 and it is something that is 30 to 40% of my overall income on a constant basis for quite some time now but more importantly it helps me remain updated and still can focus and invest in building more web properties. Freelancer’s always have the dilemma of taking up a new project when you already have work in hand or decline it and let it go. If you let it go, you can have time when you are free to take up a new project but don’t have much being offered then. A project that kept you busy for quite some time and it is coming to an end or you have a big client where you are moving from one project to other and there is a period of lullness in between. So how do you handle it. The best way to handle it is to keep yourself occupied with other things. One you have a feeling of being occupied, you will always choose projects that do something good to your freelancing career. Here is how I keep myself occupied in between projects. Once you have the time, you can always get some good books that you always wanted to be reading. This will help you gain a lot of knowledge about things you love. Try to read things that interest you the most and may not be something that is related to what you do. I prefer reading books on finance and marketing (I blog about them and they are my other interest apart from programming) whereas I mostly do freelance web development. Have you been working on something on the weekend that you always wanted to be working more? Try to get something that you can work more in your leisure time. My own forums and blogs need some little development time that I keep doing on weekends and such free time between projects can be a booster to the timeline of such weekends projects. Apart from that I have a few projects that I start for my own self development to learn something new but then at times I am not able to make those project get to stage where I would really be happy about it. Did you miss to blog what you have been doing in your last project and can you share something with the world that you think you should have but have not because of the tight schedule of your deliverables? You don’t want to be committing to blog on a regular basis but you can always contribute something useful to the world as and when you can. I follow posting schedule now on my Investment Analysis Blog but IMTips I don’t follow a writing schedule and blog as and when I can and have something meaningful. Even if you cannot have a schedule, it is worth sharing what you have done on your blog for sure. Why do you always want to be working? Relax for a few days and be unproductive for a week or two where you want to be just doing little meetings and discussing requirements with new and upcoming clients. Mini vacations in such period would have been awesome but things may never happen as you intend and if you have kids, they may not have vacations when you are free. When I have some lull time in between projects, I take too relaxing approach and I also want it to be that way. What’s the point of being too much productive all the time. You are not doing a job and so if you have a day / week where you aren’t productive and just let your emotions flow and let it be that way. Take up a new course on Udemy and learn something new that can help you boost your rates in freelancing in near future. I did start iOS app development course in Udemy, but I am sure the app that I have been working on may not get to completion app very soon but then learning a new programming language is something that gives me immense relaxation. It is always better to be having some time in between projects as well as time on your own self. Having some lull time in between task is far better than having to rush for too many clients and burn yourself out. Freelancing is not all about making money online but it is also about being able to learn new things. At least, that is how I take it and it is working really well for me. You may be in need of some funds urgently and freelancing can help your immediate requirement of funds but then it is not a job. I did a large project on a freelancing basis for a couple of years because I was stuck in a scenario where I needed money to pay for a real estate investment that I did. But if you are always working for money, it is yet another job where you are just not doing things from an office under a manager or a boss but doing things from your home for a client. Are you freelancing like a job? If you are working with a client and if it is directly proportional to your time, you are actually doing a job. You work for hours that you are comfortable working for but what about the deadlines that you need to meet. You cannot say NO in a job to a deadline that your project manager or boss assigns you but are you saying NO to clients deadlines? Freelancing can mean the more you work the more you earn or you can be paid lot higher per hour rate than a job but still you are just trading time for money. You can only work for certain hours in a day. 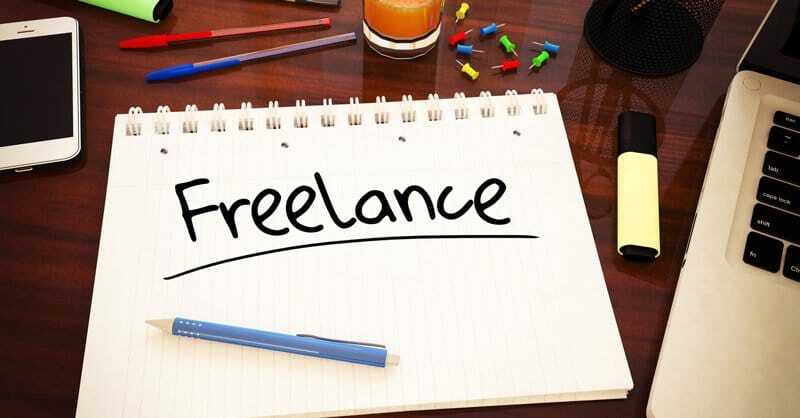 You are being paid more as a freelancer possibly because you are not physically needed to be present at the place where the client is and saving his rent that he may need to pay for you to make him sit at his premise. Apart from that he may not be requiring your service for the full year and so he can afford to pay you slightly higher for a contractor type job where he is not bound to be paying you even when he does not need your service. Make sure you are not doing a freelancing job where you are not being physically present at your employer but you are digitally present where your clients are. Freelancing is about working in pajamas but you possibly dress nicely the upper half when you are on a video call. Traditional jobs also offer working from home or even working flexible hours for enhanced productivity and so how does freelancing differ from a job then. When you are working only for money, you can never actually make enough money and you will always be tempted to be doing little extra. Focus on freelancing to add more value to your knowledge and it does not become yet another job for you. Focus on learning something new because if you prefer to be doing the same thing, you will get the same result. To be honest I don’t know but I will share what I do and where I get regular clients for my jobs. I get so many clients that I have to reject them more often. Don’t rely only on sites like ELance / Upwork only and also focus on other mediums to grab clients. Have a blog where you share what you do to help others as well as generate more clients. It can help you write when you have time between projects as well. Release code to “General Public Licence” if you can for what you have done for your clients (make sure you have the copyright to share or have asked the client about the same). That way you can be contacted from multiple source for work. 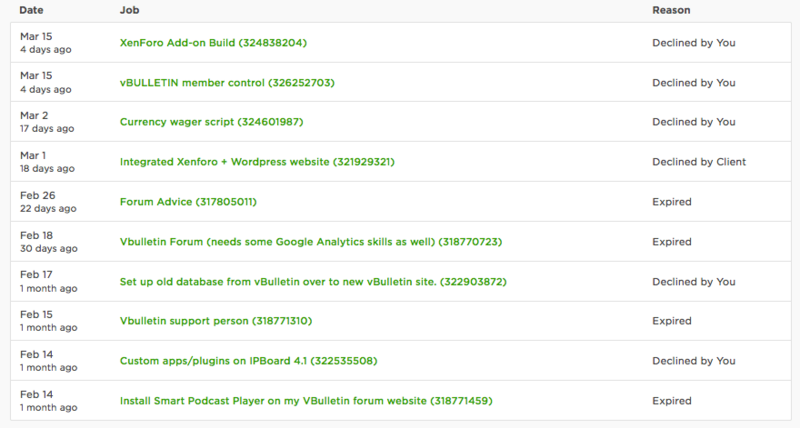 I have done that for vBulletin when I used to develop for vBulletin where I released plugins at vBulletin.org and that helped me propel my freelancing work on vBulletin. It not only helped me to grab client work directly from the site but it also helped me to serve as sample work and provide an edge over other freelancers to grab projects from sites like Elance. I have done similar things for WordPress where I released plugins for functionality that I thought would be worth sharing with others. Some plugins worked and some just did not. Apart from those I have heard good things about LinkedIn as well. I have never used it personally but know few persons who have got some really good part-time jobs from it. As you are working on some project, you cannot work on other projects as you have limited time in a day. You can let the client know about the scenario and can ask if you can get the job done by others. It is you who would take the complete responsibility but then also let them know that you are not personally doing it and so that way you gain the trust of your client as well as can get the job done for you. Many freelancers get the job done by others without letting the client knows about it but I don’t like to give an impression that I am working for them when I am actually not working for them. I have many long term clients who wants me to get their job done by others and they are quite happy about it. They want me to be taking responsibility to getting it done. Many clients don’t want to be doing it this way and so it’s ok to let them know that you are too occupied to get it done and they can hop to some other developers. It’s ok to say NO to clients than to just keep them in the dark that you will get things done someday. You don’t need to be all of a freelancer in one go. You can always opt for some part-time job as well. Get a job in a small company where you can work for some hours and get paid for it that can help you manage your basic needs and then work in your other time to build a freelancing career. I know the underlying need is always money, but then it should not be the only driving factor when you are working all alone. Freelancing is not all about money. You can always put an upper limit to the amount of work that you will do for clients and once you have reached your target look for other business development opportunities. The learning process should not stop as soon as you get a project and it just starts there. I am always looking for short term projects as my main focus is not doing freelancing as full-time. It does not mean I don’t take up long term clients but then I am trying to keep them few and far in between to help me focus on my other aspects of my business development. If you are looking for freelancing as full-time career option, make sure that you are looking for long term clients who can offer you more than just one project and try to retain your clients for as long as you can. What if I have to start afresh? If I had to start now what is the path I would follow to grab new clients and get them on a constant basis. I will definitely opt for sites like Upwork, freelancers because those are the kind of site is where potential clients are always hanging around. You just can’t ignore them. I will start a blog about things that I will do. Will do some research on what people are searching for when they are looking for services that I offer and see how can I manage to get their eye balls for my blog. I will also start helping other people in forums and question and answer sites like Quora and Reddit to get my name around for things I will be doing. I will also start paying advertising for my companies Facebook page and twitter account for services that I am providing but not on a very big scale. May be only 1 to 2% of my total turn over to start with. I will also try with some Google Adwords new account coupon and try to see how things work on with them. SEO will be really tough and so will try things with Google Adwords. I will also focus on contributing something meaningful to the CMSes. If I plan to be working on jQuery and AJAX, I will try to come up with something that has not been done the way it should be or if it is paid and if I can provide something similar on a small scale for free. I will also try to release some code on themeforest / codecanyon and other such marketplace to show them as samples to clients for easy reference as well as make some sale of them. Many freelancers just make the mistake of being called a freelancer and work like a job. Freelancing is not a job and so don’t make it a job.